25 miles from the Austrian border in the heart of the Dolomites is the picturesque and unspoilt village of Arabba. Situated between the more well known ski resorts of Corvara and Canazei, its scenery will take your breath away. It has an idyllic setting - much enhanced by the striking dominance of the Sella Massif and Portavescovo Mountains, towering on either side of the village. At sunrise this startling backdrop glows pink whilst at dusk it turns flame red. Marmolada is a famous ski-resort at the feet of the Marmolada glacier, that with his 3.342 metre is considered the "Queen of the Dolomites", the highest mountain in the Dolomites. 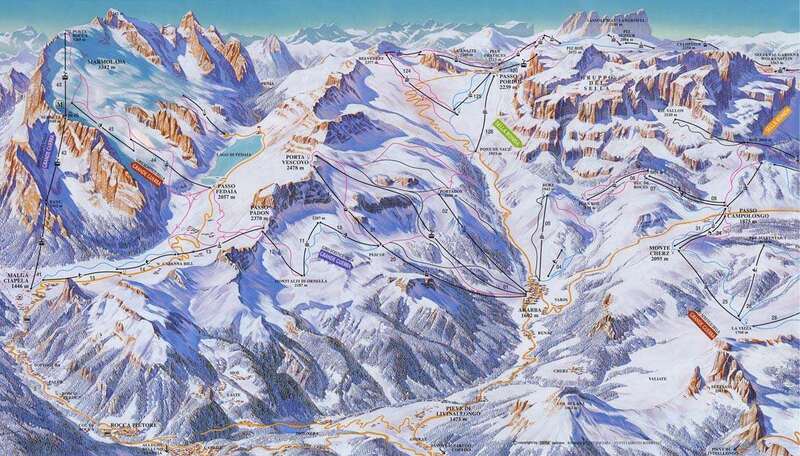 It represents one of the strategic connection points of the Dolomiti Superski carousel and it could be departure point for the famous and legendary day trip "Sella Ronda" or the new day trip on the 3.342 metre high Marmolada. On your ski holidays in Arabba, you will find 52 kilometres of slopes, 27 modern lift systems and an excellent link with the other areas of Dolomiti Superski and the Sella Ronda. One of the most notable aspects of this area is the skiing area around "Porta Vescovo" the home mountain of Arabba, that is almost 2,500 metres high. The Dolomiti Superski Area covers 1220km of pisted skiing, including the famous Sella Ronda circuit, which links four valleys and also boasts some of the worlds most spectacular scenery and skiing in Italy. Lovingly prepared pistes along with masses of artificial snow when needed make ski holidays in Arabba/Marmolada a truly wonderful experience. The nearest international airport to Arabba is Innsbruck which is around 147 km bus transfer away. We took a late deal because the snow was so good. We were not disappointed. The chalet had everything we needed, a great shower and lovely log fire and there was plenty of food. Arabba is quite quiet with a couple of lovely apres ski bars, so we could get a good night's sleep. The lifts were only a short walk from the chalet, just enough to warm up the legs! The whole Sella Ronda was easily accessible so we could make the most of the lift pass. 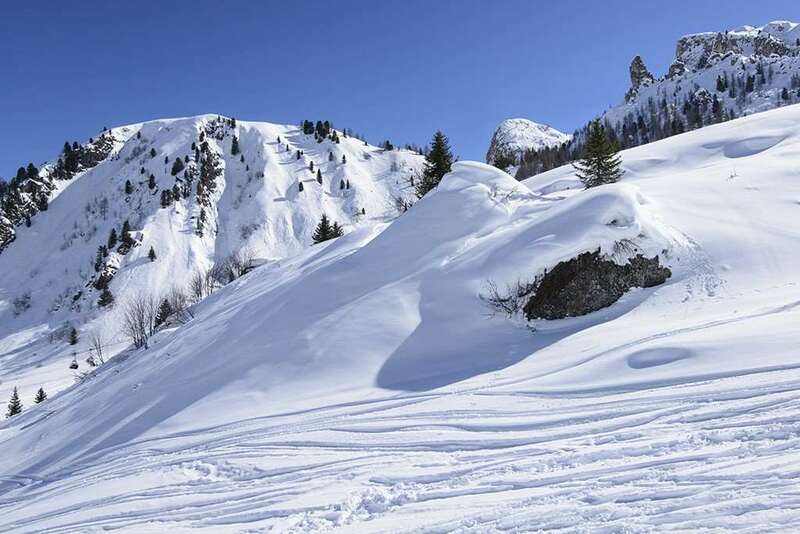 The pistes were in excellent conditions and, due to their orientation, there is plenty of choice skiing south facing in the morning and north in the afternoon. Although it was early April we managed to find something to ski until the last lifts. Due to this season's snowfall pattern there wasn't really any off-piste skiing available but we still had a great time and the on-line skipass readout was easy to check out lifts used and distances travelled on our return.